“My sister Vivian came into this world on November 21st, 1959 and although I was only 3 years older than Vivian I do remember growing up with her, and her being a very jovial fun-loving sister. Vivian brought much happiness and love to her family and many little friends. At almost 2 years old she was diagnosed with a cancer tumour in her leg, that eventually had to be amputated… Vivian was then outfitted with a prosthesis, and with the use of crutches could not be held down. Her energy was unbelievable. Vivian always wanted to be a ballet dancer and looked forward to going to school. When she was 6 years of age matters got worse, but she insisted on going to school. So Mom and Dad took her to Neil Campbell School in East Kildonan and enrolled her into the first grade. However, within two months, Vivian’s health was such that she had to be taken out of school and started to take Cobalt treatments at the Children’s Hospital on a regular basis. The treatments were conducted in a closed area with only a window allowing you to look at the patient being treated. There was however an intercom hookup in the waiting room so that if the patient needed attention she could just speak out and you would hear her. During one of the last treatments all was quiet, until over the intercom you could hear Vivian singing with all her little might, one of the many hymns Mom taught her. It was Vivian’s favorite, “Jesus loves me, this I know, for the Bible tells me so.” She often sang through her treatments to help pass the time and ease the discomfort. She kept the doctors, nurses, and staff humble, and their dedication to Vivian was heart-warming. All: With humble thanks we accept this window. All: We will honour Vivian’s memory, the love of her family and the call to live with justice, mercy and grace. 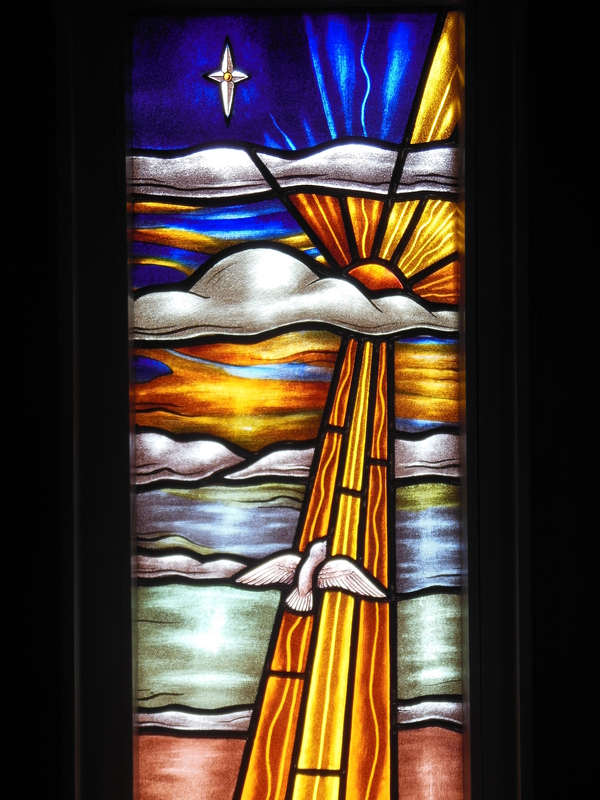 This marks the completion of our stained glass windows….something we didn’t imagine doing only a few years ago. 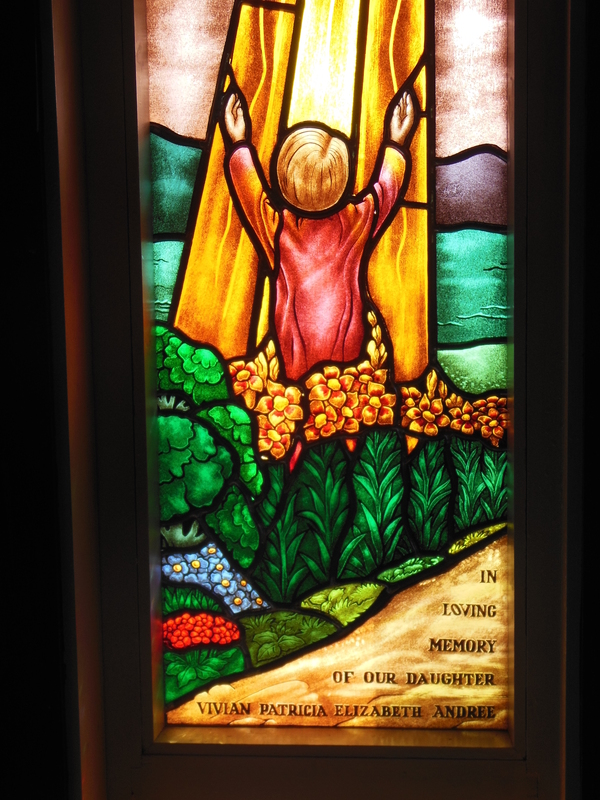 Each window tells a story…..about the person in whose memory it has been given….about the family who presented the windows to our church….and about this church family which kindly, compassionately, thoughtfully cares for one another in all the good and hard times of the journey. May you all be blessed with the courage, the wisdom and the grace to keep doing what you do….for God’s sake.